Tel Aviv: The entire city is abuzz about a hot new smart phone app called “E-Z-Steal”. 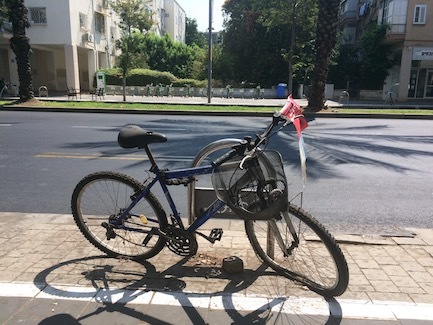 This app allows Tel Aviv residents to choose the best time and place to have their bike stolen, and even allows residents to choose which South Tel Aviv chop shop to buy their bike back from. 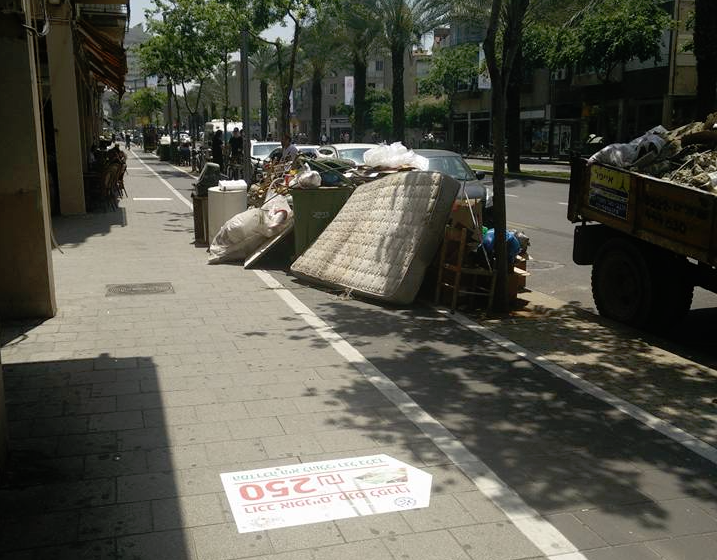 The Daily Freier was on the scene to capture the excitement on the streets. Because of E-Z Steal‘s popularity, Tel Aviv municipality is looking at developing new apps for the public including one that arranges the best time of day to get knocked off the sidewalk by some jerk on an electric bike called “E-Z Hit“, and also an one that allows customers to choose which hidden charges and unwanted extras to add to their cable/internet bill, coincidentally also named “E-Z Steal”. Tel Aviv: The cops at the police station on Dizengoff Street, ostensibly employed by the same government that meticulously discovered, tracked, and captured prominent Nazi Adolph Eichmann, have absolutely no idea what happened to your yellow Diamondback mountain bike that you left locked to the railing behind your apartment last night. “You mean to tell me that bicycles are stolen from North and Central Tel Aviv and then sold in South Tel Aviv?” asked a policeman incredulously, just about a mile from the Headquarters where the IDF planned the 1981 destruction of Saddam Hussein’s nuclear reactor at Osirak.